Responsible Beverage Service Training Certificate Program. If you serve alcohol or employ people who do, more and more of our courts have a message for you. You’ve got to do more to stop intoxicated customers from driving drunk. To help you avoid that risk, and help save lives we offer the Responsible Beverage Service Training Certificate Program via the California ABC (Department of Alcoholic Beverage Control – abc.ca.gov). 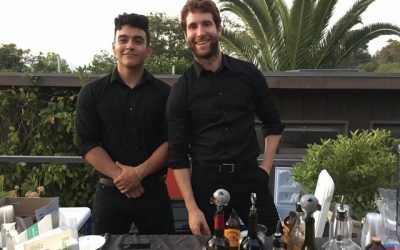 If you employ professionals that serve alcohol, you may contact your local National Bartenders School to have an instructor come to your location to certify your entire staff. This is just another element of the National Bartenders Bartending Training program that sets us apart from the rest! Call (213) 380-3200 for more details or to reserve your spot in our next class. Classrooms located throughout Southern California.